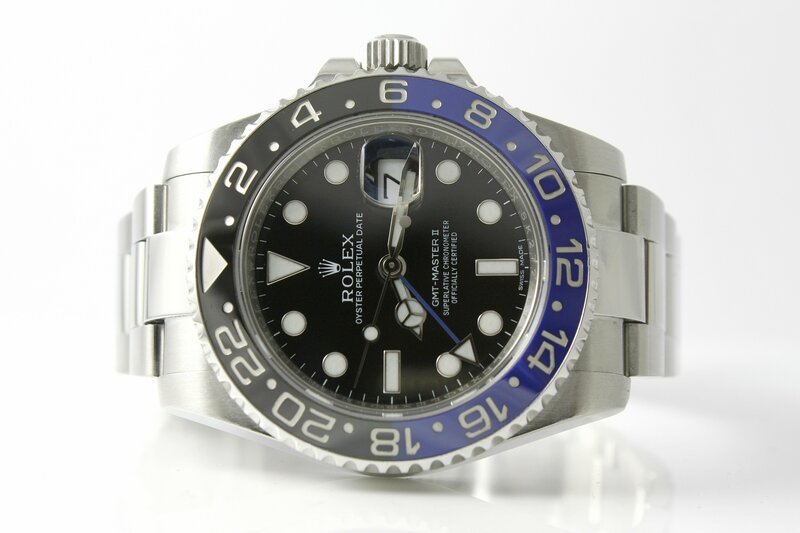 This deal of the week features the handsome and sporty Rolex GMT-Master II in stainless steel with the black and blue bezel, nicknamed by Rolex fans as the “Batman.” This current model Rolex has a stylish 40mm case diameter and black dial. 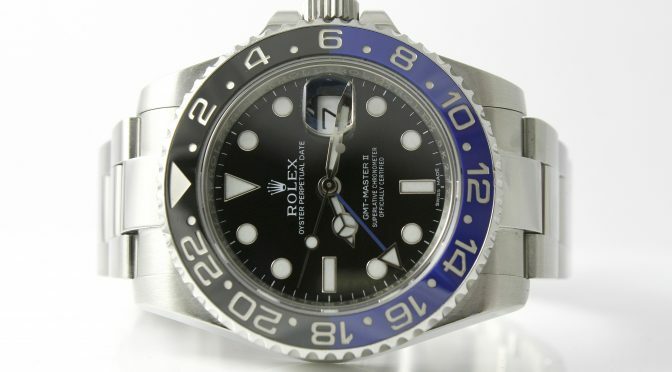 The watch is in fantastic condition and has been serviced by our expert in-house watchmaker and is running perfectly. All parts of this watch are original Rolex and comes with its original box and papers.